An ideal voyage for travelers seeking new, off-the-beaten path destinations. Follow a path forged by crusaders, kings and conquerors through Hungary, Serbia, Croatia, Romania and Bulgaria. Immerse yourself in new cultures and make new friends as you travel from splendid Budapest to dynamic Bucharest, discovering the best that the revitalized nations of Eastern Europe have to offer along the way. Gaze in wonder at the lofty spires of Hungary’s Parliament Building as it rises majestically above the Danube in Budapest. Sit down for friendly, intimate meals with farmers in Croatia and artists in Romania. 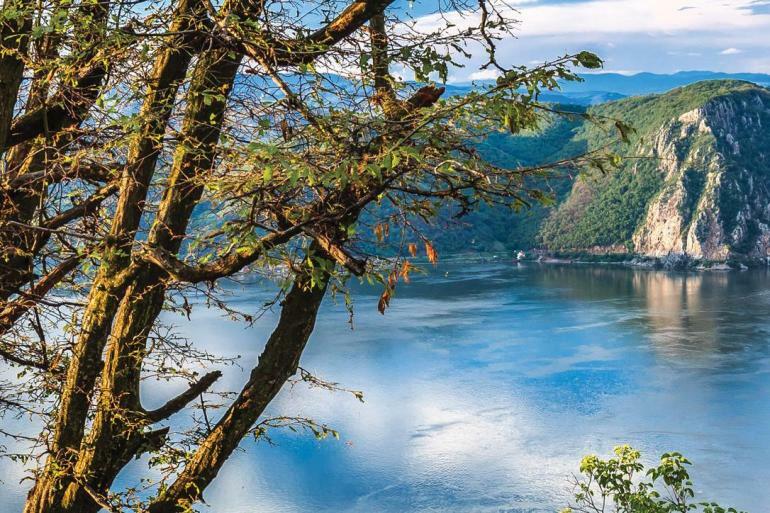 Uncover scores of little-known treasures, including the picturesque Bulgarian hill towns of Veliko Tarnovo and Arbanassi and the surprising rock-hewn churches of Ivanovo—a UNESCO World Heritage Site. Step back in time to investigate the history and legends along the Danube while you cruise the Iron Gates. Tour Belgrade by bicycle, marvel at the massive People’s Palace in Bucharest or see Vlad the Impaler’s tomb in the Romanian countryside. 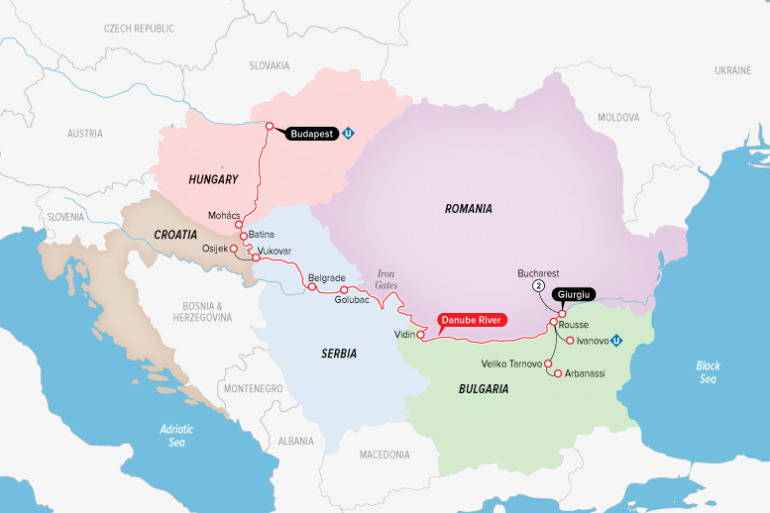 From Budapest to Bucharest, Roman ruins to medieval fortresses, this journey will reveal the unstoppable resiliency of the human spirit, as well as the highlights of this spectacular region. The adventure of a lifetime awaits you. Who will enjoy this cruise/tour? Explorers wishing to discover ancient lands and modern multicultural cities. Photographers, amateur archaeologists, connoisseurs of regional cuisines and anyone who loves beautiful and mysterious locales. No reviews yet for this trip. Browse other reviews below for Uniworld. I thought the entire experience was outstanding. The attention to detail couple with flexibility in meeting passenger needs was terrific. Excellent customer service. Everybody makes you feeling like a king! From start to finish we were made to feel as if we were the most important guests the crew had ever hosted. Nothing was too much trouble and the attention to detail was outstanding. In particular I must mention Tibo, Marco and Virgil as staff that were outstanding. In addition the cruise director was very helpful, full of advice and so interested in everyone. The complete cruise experience was excellent, from trip planning and documentation through debarkation and transport to airport for return trip. Excellent service by Uniworld Boutique River Cruises, Professional Service given!